Apps that run on Apple Watch will likely be a major focus of Apple’s upcoming event on March 9, but if you can’t wait that long, check out App Advice’s new website, WatchAware, which is collecting Apple Watch mockups and putting them on a single page. 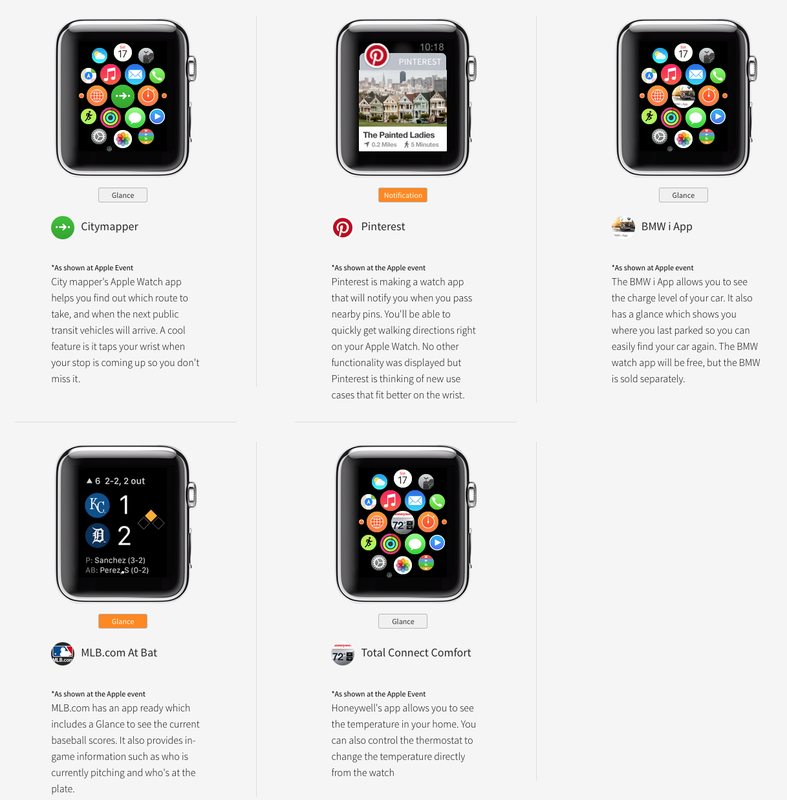 The site has 27 Apple Watch previews. Although the page feels interactive, most of the time, it’s just playing a canned video inside of a Apple Watch mockup when your mouse skims over the image. It’s not an emulator. But it does offer the suggestion of what an app could feel like when it’s running on an actual Apple Watch. Although most developers don’t have access to Apple Watch yet, Apple has released a set of developer’s tools called WatchKit, as well as human interaction guidelines. So these apps likely already resemble the form they’ll take when Apple Watch is released. They appear to hew to the best practices Apple itself is suggesting, complete with separate interactions for glances, notifications and full-blown apps. Some of the apps featured were announced last fall when Apple revealed the Apple Watch. Those previews are using Apple-provided imagery. Other previews have been contributed by third-party developers, including FeedWrangler, Deliveries, Todoist, and, yes, a fart app. If Apple Watch ends up being a hit, I suspect many of the interactions users will employ on a daily basis have yet to be invented. The first iPhone didn’t have a pull-to-refresh interaction, for instance. One day, this batch of previews could be an interesting time capsule: What we thought Apple Watch apps would look like before we actually had them on our wrists.